Happy new school year, ESSB! As I shake away the summer cobwebs from my brain, I stumbled across a few neat resources to help refocus and jump into the 2015-2016 school year. 3 PLCs popped out at me this week and I’ll share them with you below. I tried to find something for everyone, so the 3 offerings cover Early Elementary, Special Needs, and Technology for all Teachers. The first is a K-3 Digital Learning Community. Teachers are always asking for early elementary resources for their students, and this PLC could be a great place to start. Watch a sample webinar from this community, and consider checking-in on a regular basis. It’s free and sessions are archived so you can watch them whenever you get the chance, or ignore them if one particular topic is not relevant to your practice. This community will be a great support for teaching students with Autism. The sample video provides great tips to help you manage transitions with your students. It could also be a springboard into to other Special Needs Learning Communities. This next resource may not be a PLC by definition, but it certainly provides some food for thought in launching this school year. The content of this Virtual Conference had me a little baffled at first. The idea of Teacher Entrepreneurs was not clear to me. After watching some sessions by an amazing cast of educators, it began to make sense. 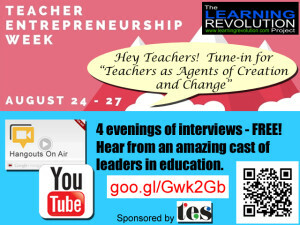 Just like Teachers and Practice go together, Teachers and Entrepreneurship also go together. 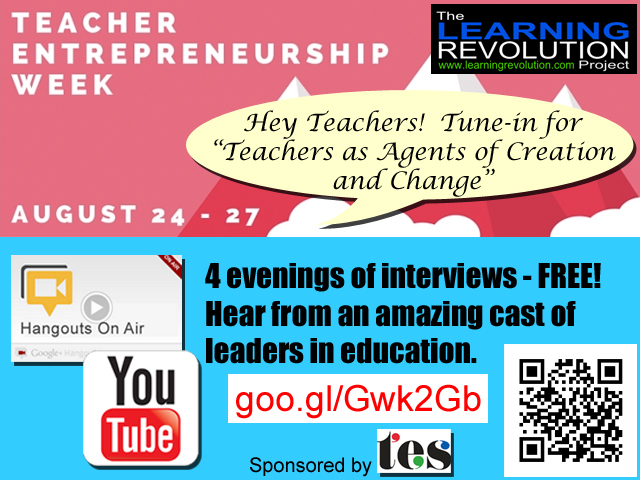 The thought leaders in this series talk of their experiences as teachers and how this has led them to embrace the role of an entrepreneur. Branding their product (lessons, resources) and marketing them (blogs, websites) to their consumers (students, parents, educational community). It’s neat to hear the perspectives, and will surely spark some ideas for you this year and beyond. You are likely already a Teacher-Entrepreneur! If you miss the live events, everything is available on youtube. Here is a list of all recordings. 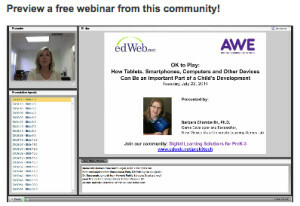 If you know educators who could benefit from sharing experiences, please pass along this blog. We welcome your comments and resources to expand our learning. Please share your PLC suggestions in the comments. « ESSB tells its Digital Citizenship story at Connect Education Conference in Niagara Falls.